Botox London. Botox Injections by Dr Vidal. Botox injections: 1, 2 or 3 areas ? the crow’s feet area and the lines around the eyes. So there is a price for one, two or three areas. Unfortunately you are a little bit tight on the budget so you can afford one area only… How do you make the most of it ? Simple, you need a good advice. 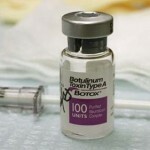 How these botox injections areas work ? Facial muscles are not independent like two flats on a same floor. They interact with each other and are in balance with each other. Using botox to weaken one (by blocking the muscle contraction) will simply reinforce the others and this can have consequences. On the other hand, a good understanding of this phenomenon can help to decide which area to treat. For example you use the forehead muscle to pull your eyebrows upward as when one expresses surprise. But your frowning muscles do exactly the opposite and pull your eyebrows downward as you do now because you read this article. Treating your forehead with botox will make the frowning stronger and the result may be a low position of your eyebrows which might not be aesthetically pleasant. Botox injections into the frown without considering the forehead or the eyes area could give a poor result as well. The same concept apply when you pair the forehead and the eyes area. When you smile or close your eyes you pull the tail of the brow downward. It is perfectly possible to treat the forehead only. It depends on your age, your facial anatomy, the relative strength of each muscle. Young people with good quality muscles may do this because a little bit of botox will not have a massive impact on this muscular balance. But this doesn’t mean it is a good cosmetic result because what is better ? a flat forehead with a strong frown and a severe look or a normal forehead with a nice relaxed look ? (please remember, you just can afford one area). It is not very different with older people as with time they develop natural muscles imbalances . Not understanding these imbalances for botox injections can result in a poor aesthetic outcome. What is better ? a flat forehead with collapsed eyebrows and microscopic eyes or a wrinkled forehead with the eyes well defined ? or nothing ? or may be something else you even didn’t think about ? So how do I choose my botox area ? It is the job of a good professional botox practitioner to help you understand what is going on with your face, your muscles, your expression, your personality. It is also their job to take the time to explain these things to you. Irrespective of what your budget is but relevant to how your face looks. 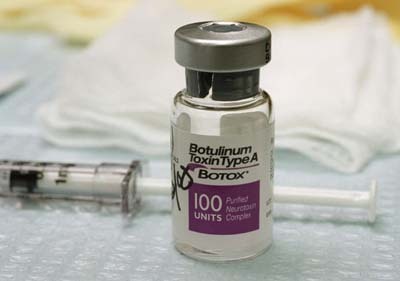 The most common mistake made by people is to go to a botox provider and ask firmly for a specific area to be treated. They do this because it is difficult to see themselves objectively. Chances are they will get this area treated whether or not it was the best aesthetic choice. A good professional will do very well if you can afford three areas. A very good one could just do as well with less. If you can afford only one area please first ask your doctor what would be the best choice and listen to their explanations. You will certainly be wisely advised. If they cannot give you a clear explanation you may consider finding another clinic. By the way repeat this process even if you can afford more than one area . You will happily make the most of your botox injections and your money. This entry was posted in best botox doctor london, Botox injections Dr Vidal London and tagged botox doctor london, botox injections london, botox neck injections london, nefertiti lift london on by thierry.